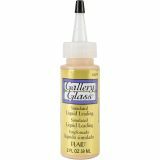 Gallery Glass Liquid Leading - PLAID:CRAFT-Gallery Glass Liquid Leading. 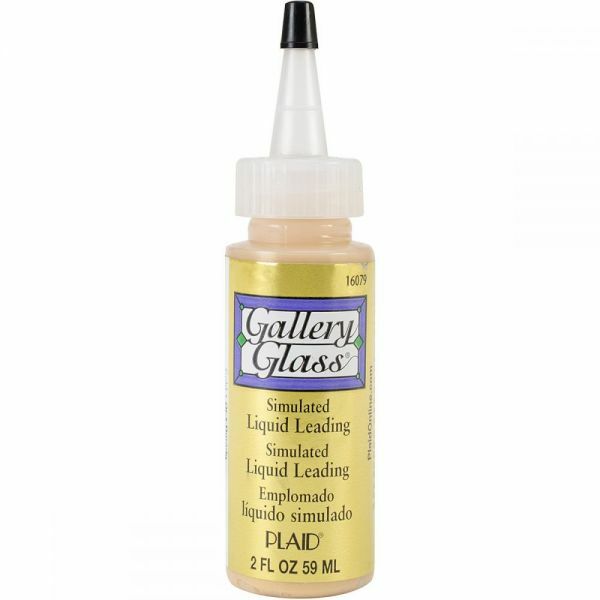 This liquid leading is ideal for intricate patterns on windows, and more modular designs and clings. This product is non-toxic, is waterbased, has a convenient application tip that allows for easy clean up and application. This package contains a 2oz bottle of liquid leading. Color: Gold. Conforms to ASTM D 4236. Made in USA.